Gumbo is a melting pot of sounds from deep in the heart of Louisiana. 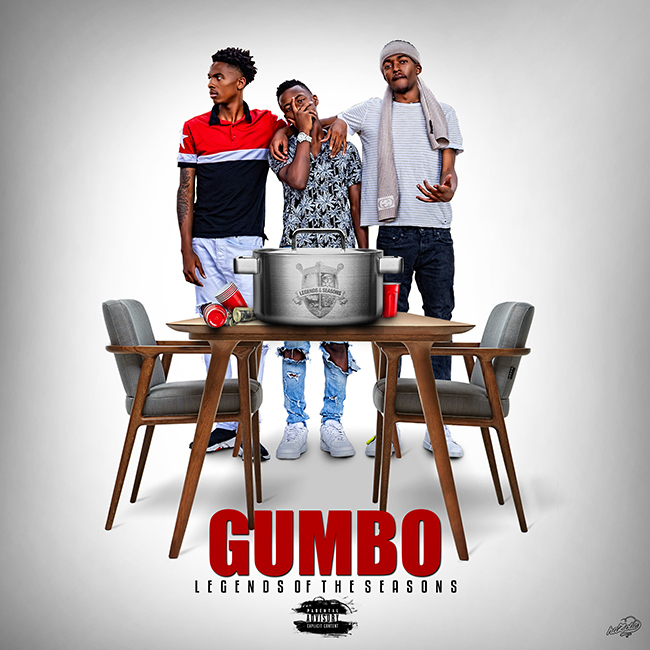 With part Triggerman mixed in with the current generation’s sentiments, Gumbo speaks volumes for Shreveport based Legends of the Season. The group consists of J Winta (17), DexOnDec (19), and Taeko (19) who came together to share experiences and their love of music. And that Triggerman sound? Came from their manager who made the original song back in the 80s that Drake just made internationally famous with “Nice For What.” Go Louisiana Go!! !